Please make a journal entry to let me know that this book has been caught so I know that it has found a good home with you. 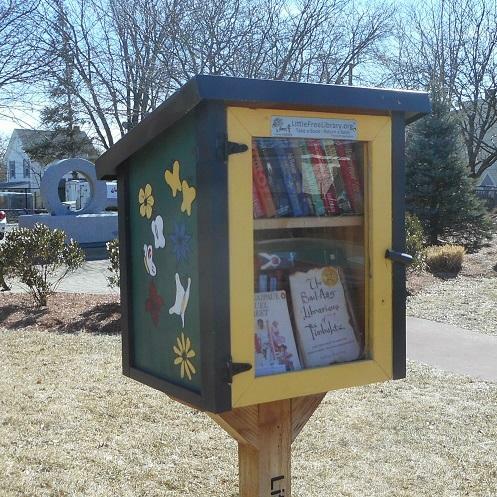 If you are new to BookCrossing, when you join please indicate that you were referred by BostHostelOBCZ. I hope that you enjoy the book. You can make another journal entry with your comments when you are done reading. This book was registered on behalf of the OBCZ at Boston Hostel Int. Brining to the Supp Boston Meetup with Windy City guest if no takers to be released at the OBCZ! Caught at the mini-meetup for mojosmom yesterday in Boston. 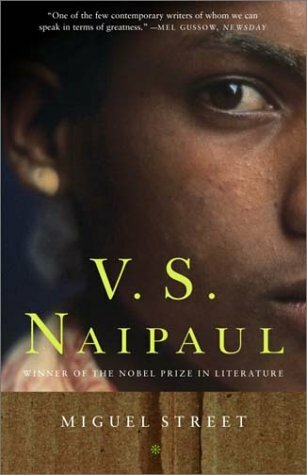 I remember being assigned a V. S. Naipaul novel in college, but I can't remember whether I read it. I'll give this a try. Thanks for registering it, and thanks to the unknown reader who left it on the shelf at the OBCZ. I claimed this vintage paperback at this afternoon's BookCrossing Meetup at the Porter Square Panera in Cambridge MA. It's a loosely-connected novel about the many characters living on Miguel Street in Port of Spain, Trinidad, during the 1940's or thereabouts, with relationship issues and petty feuds and solid friendships - and some very funny incidents as well as some upsetting ones. Definitely gives a feel of a small neighborhood where everyone's into everyone else's business!